The Litunga of Barotseland today left Limulunga royal palace for Lealui amid tight security in readiness for the Kuomboka ceremony this coming Saturday. By tradition the Litunga resides at Lealui Palace and only moves to Limulunga palace during Kuomboka ceremony when Lealui floods but he has been leaving at Limulunga palace and only moved to Lealui today and will move back to Limulunga on Saturday. 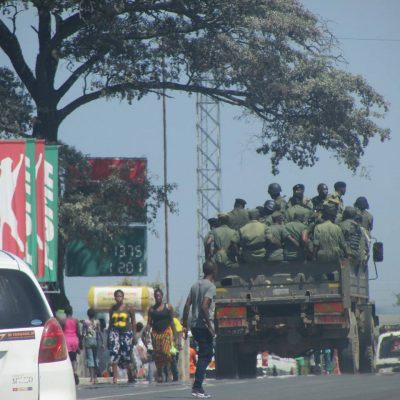 Police reinforcements started arriving in Mongu yesterday and straight went to Lealui and Limulunga royal palaces in readiness for the ceremony. Chief Gawa Undi of the Chewa people of Zambia, Malawi and Mozambique is the guest of honour at this year’s ceremony and is already in Mongu with an entourage of traditional dancers.